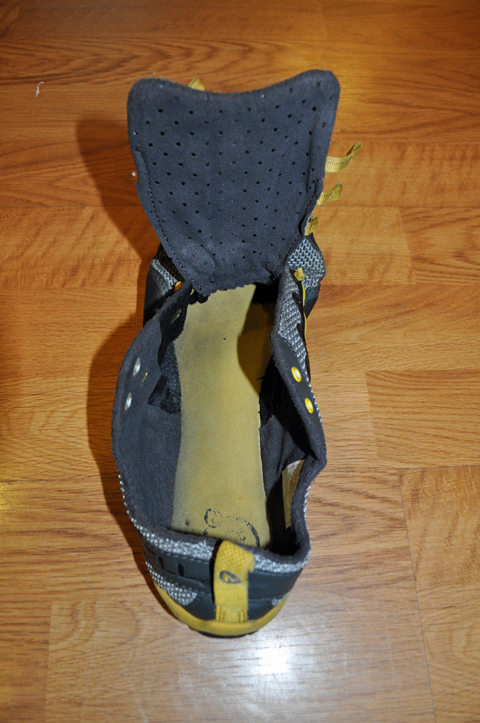 We just recently replaced Josh’s original Merrell Barefoot, he had worn down the soles from so much use. So we figured this would be a great time to experiment a little with cleaning by using the old pair. I’ve been wanting to try for some time cleaning them using the dishwasher, but didn’t want to wreck the lining. As you know by now the only negative thing about the Barefoot shoes is how smelly they get. They are designed to be worn without socks and a funky buildup can form in the shoes, before now the only solution we’ve found is to soak, then scrub them out. This works fine but takes time and drying is a pain. My thoughts on using the dishwasher was to achieve a through scrubbing and rinse without the work. Drying them out is still an issue, especially if you wear them daily like we do. The settings I used were a light rinse without heat dry. 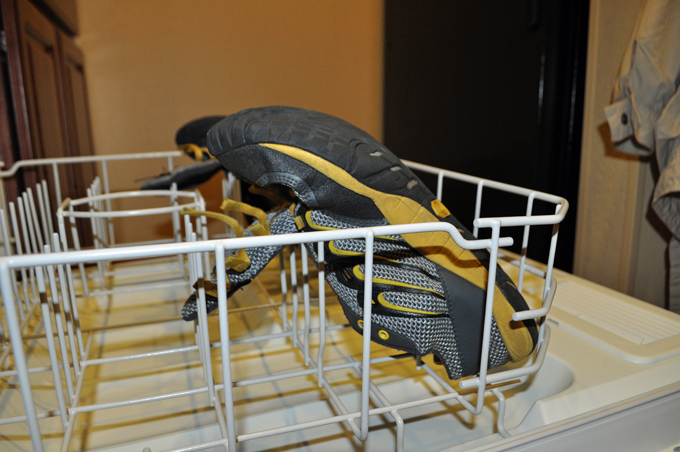 Initially we had thought it better to put the shoes on a top rack but the dishwasher we were using was a small capacity and the shoes would have lied flat. So in the end we put them on the bottom rack with toes facing up. We also chose to remove the laces. After putting them “through the ringer” in a clean wash cycle, they came out super clean and not nearly as damp as I had figured. So what did we find out from this experiment? You get a very thorough cleaning but it is hard on the lining. My advise this is a good option for cleaning a very funky pair of Merrell Barefoot shoes but will not work for regular maintenance. Conclusion, we are still living the amazing Barefoot lifestyle and loving it. This entry was posted in Going Barefoot and tagged Barefoot Shoes, Go Barefoot, Going Barefoot, Merrell Barefoot. Bookmark the permalink. I wear the Merrell Encore sherpa lined shoes in the winter-time and have the same funky problem. I can never get rid of the odor and end up tossing them out after one season. But I love them so much, I go back and purchase another pair (regardless of the price!!). I’ve tried everything – freezing, baking soda, athletic shoe deodorizes, washing, sitting in the sun – nothing seems to work. It gets rid of the funk for a day or two, but then it comes back. QUIT LAUGHING – I know my feet don’t smell that bad!! haha…it’s nice to be on the road and using SOMEONE ELSE’s dishwasher…not sure I want mine or my sweet hubby’s in ours…LOL!! Persnickety me. I so didn’t think about that! Ooops we just lost our comment…..
We find the smellier/funky the trainer – the tastier!